Check out this video to see the presets in action. 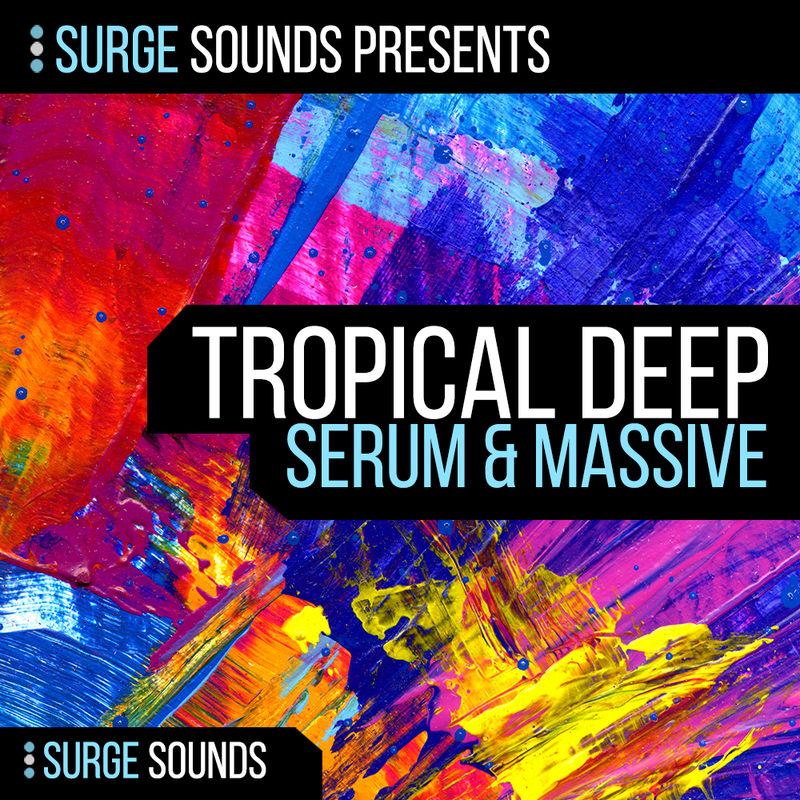 Tropical Deep | Serum & Massive is the next level of sun soaked and colorful sounds for Xfer Serum & NI Massive. The team behind Surge Sounds is proud to present an entirely fresh collection of gorgeous sounds that will enhance your creativity. 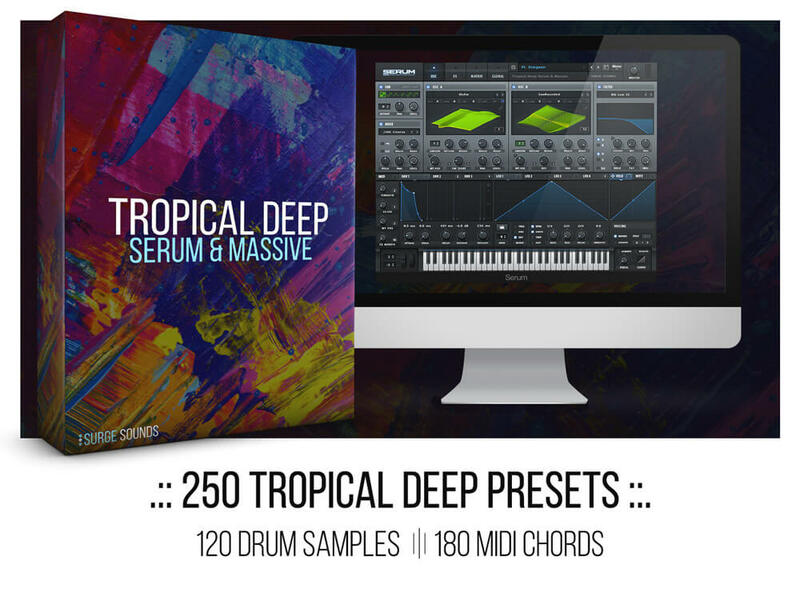 This cutting edge collection is packed with 250 sun-kissed presets that falls between a perfect blend of Tropical and Deep House. 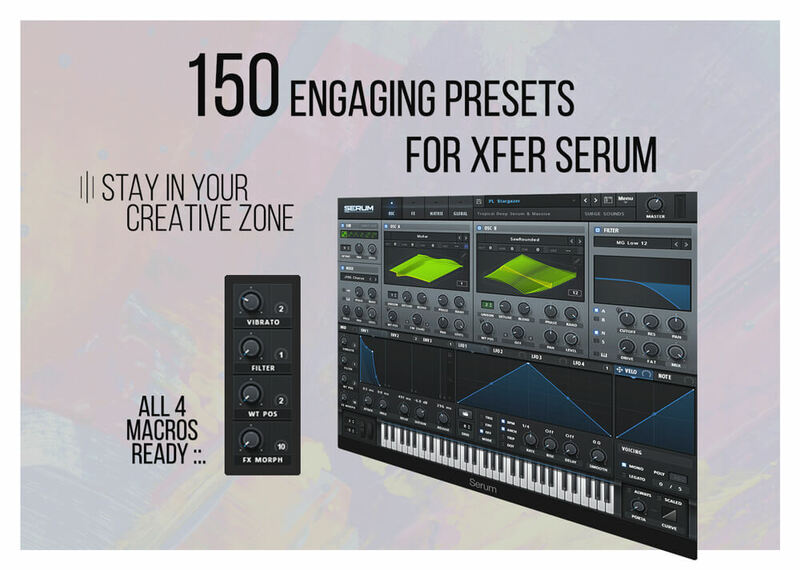 150 presets were carefully designed for Xfer Serum and 100 presets for NI Massive, all ready to inspire you for your next chart-topping production. You`ll also discover a ton of bonus additions like MIDI Chords and Drum Samples inside this pack. The concept behind this soundbank was inspired by Tropical and Deep House legends like KYGO, EDX, Thomas Jack and was enhanced to compete with the current trends. 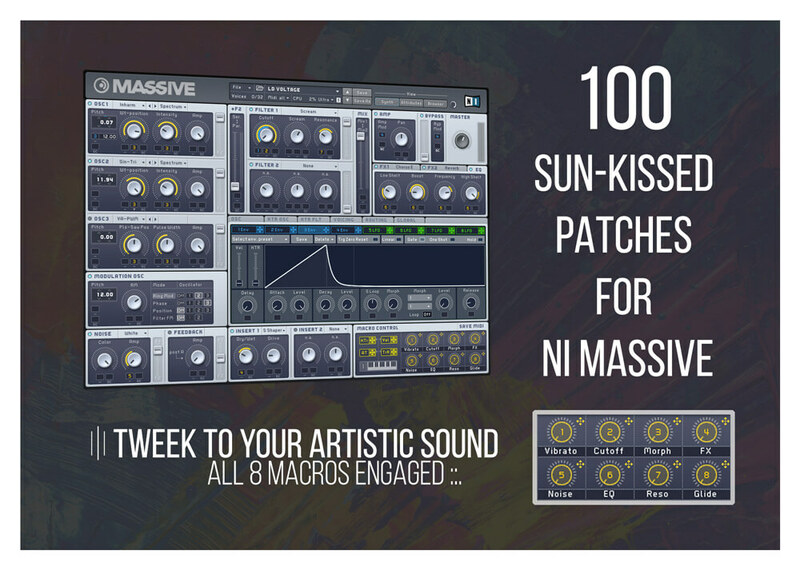 With 8 macros for NI Massive and 4 macros for Xfer Serum assigned on every preset you can always stay in your creative zone while tweaking to match your artistic sound. We included 15 engaging MIDI Chords in all 12 keys all ready to be dropped in your next production. Thats a total of 180 MIDI Chords! You`ll also discover 30 Kicks, 35 Snares, 30 Claps and 25 Hats for you. 120 Bonus Drum Samples all processed with cutting-edge studio techniques. We are confident this release will get your creative juices flowing and will be a remarkable addition to your collection! Xfer Serum 1.095 and NI Massive 1.3 or higher is required.